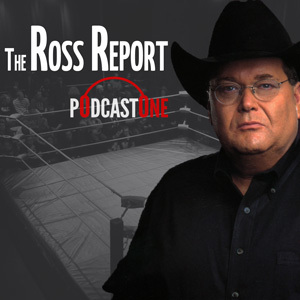 Last summer, good ol' J.R. had Tony Schiavone as a guest on his highly ranked podcast "The Ross Report" on Podcast One, which can be found on iTunes and at PodcastOne.com. There was lots of great discussion and of course the expected back and forth on the WCW days, but I was most interested in Tony's reflections on his early days with Jim Crockett Promotions and his days growing up in Richmond a fan of Mid-Atlantic Championship Wrestling in the mid-1970s. 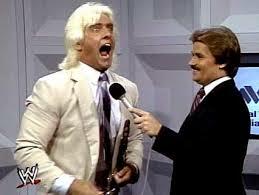 He got hooked on Mid-Atlantic Wrestling as a kid in 1974, the exact same time David Chappell and I did as kids. Tony was always one of our favorites, and although the main focus points of the Studio Wrestling website (where this article was first published) are the Mid-Atlantic television studios in North Carolina, South Carolina, and Virginia, the WTBS studio in Atlanta was an important part of the studio wrestling history as a taping location for Crockett from 1985-1988. When Tony began work for the wrestling arm of Jim Crockett Promotions in 1983, the weekly TV tapings had just moved out of the WPCQ Charlotte studios earlier that year. He was a regular fixture, however, in the make-shift studio on Briarbend Drive hosting many of the local promos over the next years. We encourage you to listen to the entire episode at "The Ross Report" via iTunes or the Podcast One website, and to visit J.R.'s sponsors and to support his show directly. Also visit J.R.'s website J.R.'s Place at http://www.jrsbarbq.com. You hit links to take you to the podcast there, buy some of J.R.'s outstanding BBQ sauce and check out J.R.'s very popular blog. An earlier version of this post originally appeared on our Studio Wrestling website.